It is unfortunate, but there are actually many people out there who do not make it to the dentist for their regular checkups. The cause for this is the fact that many people suffer from dental anxiety, which can make them afraid of the dentist. Fortunately, sedation dentistry provides a way for patients to pursue the dental care they need without being dominated by their anxiety. 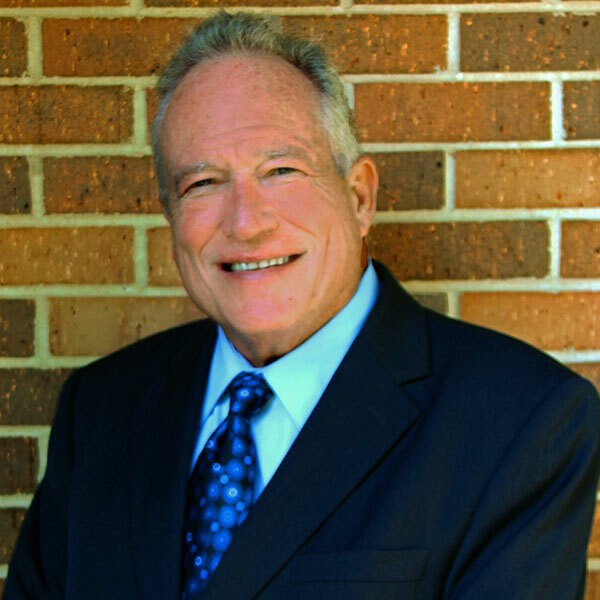 Sedation dentistry has long been referred to, mistakenly, as sleep dentistry because many patients believe that these treatment methods can put the patient to sleep. While some medications can cause grogginess in the patient, the types of sedation we use at our practice will only work to calm your anxiety, and you will never fall completely asleep during your treatment. To learn more, continue browsing this page. Often referred to as “laughing gas”, nitrous oxide is the most requested form of sedation currently available. A mild sedative, nitrous oxide is administered through a nose hood, allowing you to breath it in naturally. This form of sedation can put you in a good mood, and give you a sense of well-being. More importantly, nitrous oxide is effective at reducing the feelings of anxiety and pain that may be experienced during your procedure. Nitrous oxide provides a lighter level of sedation, which means you will be fine to drive yourself home following your treatment. A moderate type of sedation, intravenous sedation is injected directly into your bloodstream, making its effects take hold almost immediately. This treatment is generally used for shorter procedures, and will put you in a state where you will have felt as if you slept through the entire treatment. Because IV sedation is a more potent form of sedation, you will not be able to drive yourself home following your treatment. If you need a stronger form of sedation, but would rather not pursue IV sedation because of its use of a needle, than you may be better off using oral conscious sedation. This form of sedation has the patient take a pill, usually Halcion® or Versed®, an hour or two before their scheduled treatment. By taking the pill so early into treatment, the patient should never feel any anxiety, and will be able to get through their treatment without pain or discomfort. In fact, using oral conscious sedation, it is unlikely that the patient will even remember their treatment being performed. Like IV sedation, you will not be able to drive yourself home following your treatment when using oral conscious sedation. The alleviation of dental anxiety. There are few side effects to sedation. It is perfectly safe and you will feel no pain during treatment. It will feel like your procedure took less time to complete than it really did. Do you currently reside in the South Bend, Kokomo, Fort Wayne, Northwest Ohio, or Southwest Michigan area and have allowed your dental anxiety to keep you from the treatment and care you need? 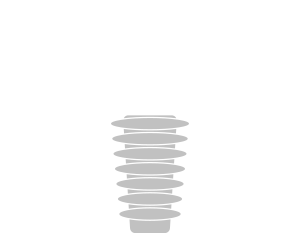 Then we encourage you to consider sedation dentistry, which can help with any type of oral treatment, including dental implants here at the leading dental implant center in Central Indiana. 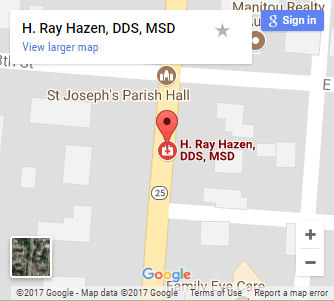 If you would like to learn more about sedation dentistry and whether or not you qualify for treatment with it, then contact our office and schedule a no-obligation consultation with Dr. Ray Hazen today.